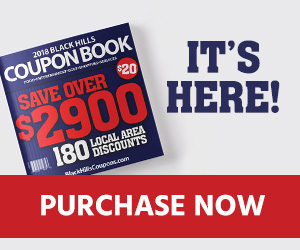 This collection of frequently asked questions (FAQ) provides brief answers to many common questions about the Black Hills Coupon Book. We have negotiated over 200 exclusive offers; over 95 of them are buy-1-get-1-free and 50% off deals from local businesses. These offers are deep discounts that the merchant does not offer anywhere else. It is a form of advertising for them, and great offers for you that you won't find anywhere else. How much does the Coupon Book cost? The Coupon Book is $20.00 USD (plus tax). Just a few coupons alone can potentially save you hundreds of dollars on your admission fees and purchases. I'll never use 200 coupons, is it still worth it? I never remember to use coupons. How will I remember to use these? Our coupons are all located in one convenient book. There is no clipping and organizing, just take the book with you to your destinations. With around 100 merchants there's a deal for everyone. To get the most from your coupons, keep the book in your car so the book is always handy. You can look up merchants alphabetically, or use the geographic guide for merchants in the part of town you are visiting. Who can benefit from purchasing the Coupon Book? Everyone! We're not just for families. Even couples that want to save on their second admission or meal can save with our exclusive offers. How long are coupons valid? The Coupon Book is valid until 1/31/17; however, many tourism businesses only operate in the summer season--between late May and early September. Expiration dates are printed on individual offers in the book. How long have you been selling coupon books? 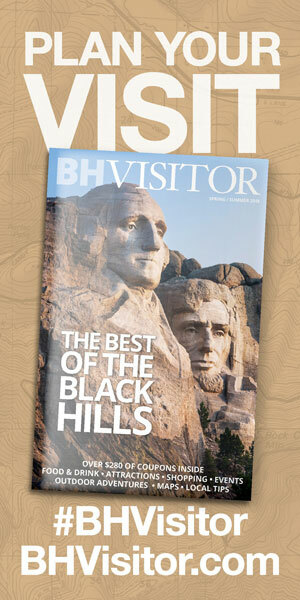 In 2006 our publication began as the Black Hills Discount Card offering $175 in savings. The Discount Card evolved into the Black Hills Coupon Book in 2009 and has grown to a potential savings value of $2,800.00. Visitor Magazine, a local tourism publication that has been in business since 1984, publishes the Coupon Book. Thousands of people have purchased their coupon book since the publication started and we receive rave reviews and testimonials every year.